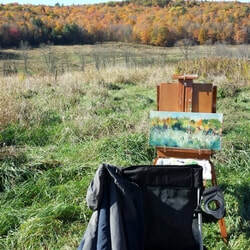 ​Join me for three seasons of creative fun in the great outdoors. My 1.34 acre property is nestled in the heart of Osgoode Village. Large perennial gardens, wide variety of trees and shrubs will be the backdrop and / or focus for a variety of workshops and camps. 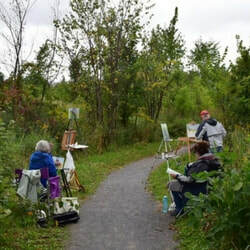 ​This outdoor setting opens up a wide variety of workshop topics and subjects that are more difficult to do or impossible to do in my studio settings.